If you don’t have a go-to cafe in the neighborhood around your apartments in Katy, it’s high time you found your new favorite coffee shop. Your neighborhood coffee shop can be like your home away from home. It should have comfortable seats, fast WiFi, and friendly baristas that make great coffee. We want to help you find that ideal coffee shop, whether you need to work at a cafe during the day or you just want a place to relax and read that new book that you can’t put down. In the blog post below, you’ll find a list of our favorite neighborhood coffee shops. 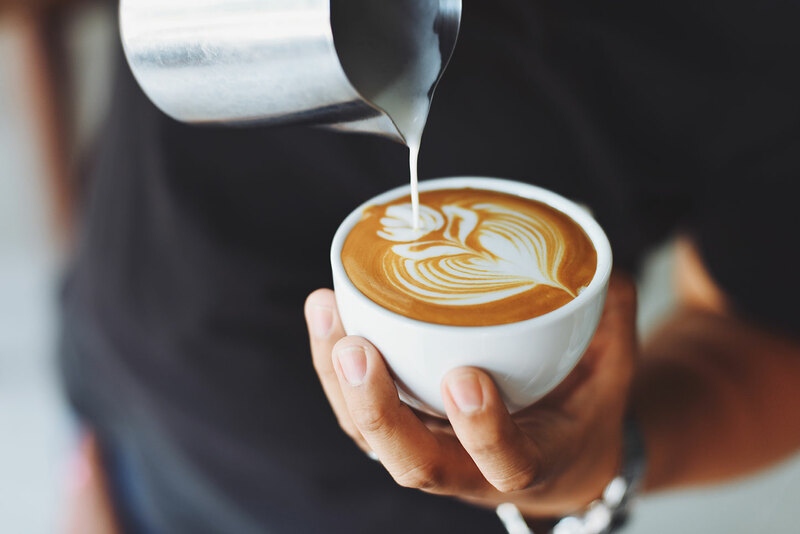 The staff at The Grand at LaCenterra created this list of the best cafes based on the quality of coffee, the coziness of the cafe, and the proximity to your community of apartments. Check out the list of cafes below, and please be sure to share the link to this post with your friends and neighbors at your community of apartments in 77450! We love Cocohodo because it’s more than a coffee shop — it’s heaven for anyone with a sweet tooth. This little cafe has a wide variety of crepes and ice cream, both of which pair well with their delicious coffee. A lot of the coffee drinks at Cocohodo have coconut in them, which helps the coffee go down smooth and taste delicious. This coffee shop is modern and clean, and the baristas are super friendly. Cocohodo also has savory crepes, so keep this place on your radar for the next time you need a quick lunch in the LaCenterra area! You could go get an overpriced, overly sweet coffee concoction at the chain coffee shop down the street, or you could go to O’ My Buns. This coffee shop serves reasonably priced matchas and chai frappes, so grab one of those and use it to wash down one of the unique buns that this coffee shop serves up. In addition to buns that are filled with chocolate and hazelnut butter, this coffee shop also serves as an awesome dish called an egg waffle. It’s basically a crispy egg that’s been pressed in a waffle iron, and you can top it with as many ingredients as you want. There are a lot of reasons to go to Kosmos Coffee Shop, but the most important one is their charity program. Kosmos Coffee Shop donates a portion of their revenue to a different charitable cause every month. You can check their website to see which charitable cause your coffee purchase will go towards this month! Kosmos Coffee Shop is on the small side, but that doesn’t mean they don’t know how to make delicious drinks. If you like chocolate, try the Mayan Mocha drink. This is one of the more unique coffee concoctions you can find in Katy, and some Yelp reviewers have gone so far as to compare it to the complexity of a glass of wine. With that, we’ve reached the end of our list of neighborhood coffee shops! We’d like to take this moment to thank those of you that have take some time out of your busy schedules to read the latest blog post from The Grand at LaCenterra. If you’re interested in reading more blog posts from your community of apartments, please be sure to bookmark this page so you can easily check it again in a couple weeks when our next blog post goes live on the site. While you wait for that, follow us on social media so you can stay up to date with everything happening the apartments for rent Katy, Texas residents choose for luxury living.